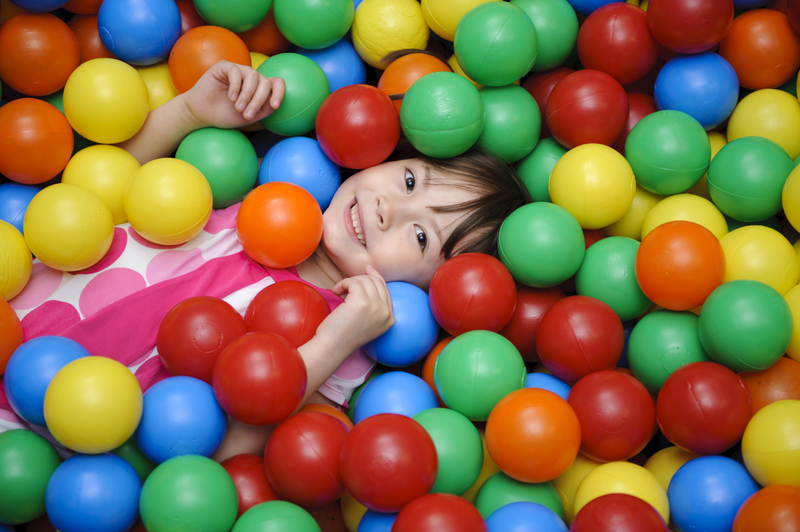 Why is sensory play important to early childhood development? Like most adults, children learn best and retain the most information when they engage their senses. Many of our favorite childhood memories are associated with one or more of our senses: the smell of a summer rainstorm or a song you sang with your family. Now, when your nose and ears are stimulated with those familiar smells and sounds, your brain triggers a flashback memory to those memories. Sensory toys for children with special needs help teach hand-eye coordination, fine and gross motor skills, cognitive growth and social interaction. Sensory toys are not specially geared towards a particular age group. Rather, they are focused on the developmental level of the toy, not the specific age of the child. Because specific developmental needs of each child varies, sensory toys designed for a certain age can be tailored to the specific need at hand. For instance, older children with autism can derive great benefits from toys that are designed for a younger child, like blocks or balls. By giving children the opportunity to investigate materials with no preconceived knowledge, you’re helping them develop and refine their cognitive, social, emotional, physical, creative and linguistic skill sets. Many children with special needs can be less responsive to sensation. These sensory seekers benefit from toys that provide an intense experience with touch, texture, sound, pressure, light and balance. Sensory toys respond to a child’s actions. They offer feedback, like light and sound, that can help focus attention, soothe anxiety and decrease hyperactivity. 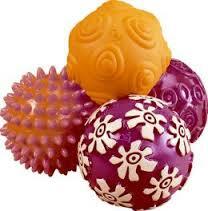 For sensory seekers, we offer a wide range of toys that provide a intense stimulation. These toys offer light, sound, varied textures, and vivid colors to provide a safe sensory experience. Toys that rock, spin, move, balance, and bounce are part of the sensory toy category. Others toys will encourage a child to move, balance and build. Here’s our Top Toys for Sensory Play. What do you call four unique balls that come in gorgeous patterns and colors? Oddballs, of course! Perfect to bounce, kick, squeeze, roll, chase and love. Each ball feels different, offering a unique sensory experience. They are either soft or firm, covered with spikes, flowers, spirals and more. BPA free. 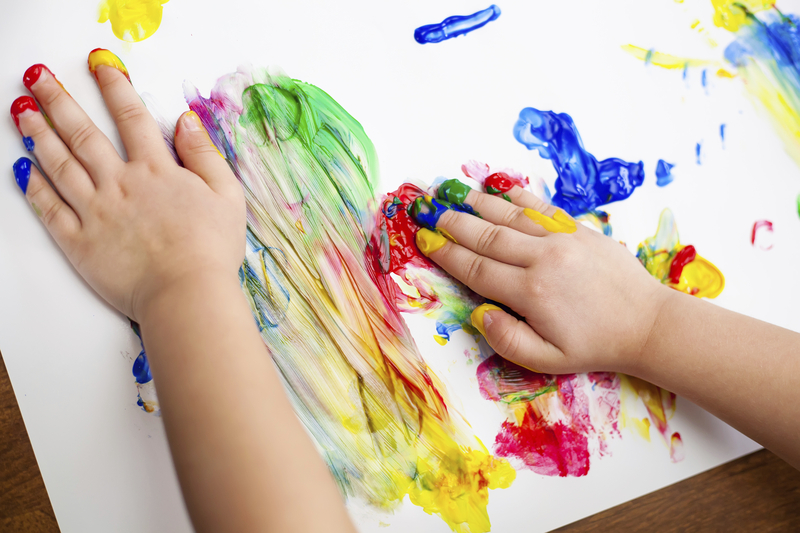 Finger painting is a wonderful way for young children to develop manual dexterity, creativity, and self-expression through art! 6 brightly colored, washable finger paints with no-mess caps! Includes red, yellow, pink, green, blue and purple (3 oz. each). Don’t forget the finger paint paper, or our finger paint paper and tray. Boost your child’s logic, reasoning and motor skills with the Play Mat – 3×3 Foam Letter Puzzle (10 PC). Each 12″x12″ tile has multiple removable puzzle pieces and textured tops for easy grip play and skid resistant bottoms. These fun, interactive tiles feature friendly animals, trucks, boats and more. 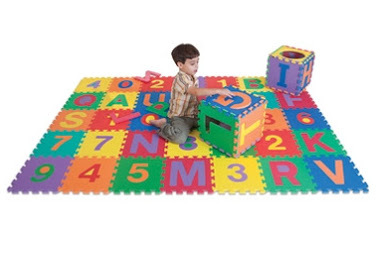 The large, interlocking foam puzzle tiles doubles as a specific play area to enhance your child’s lifestyle. Encourage Fun in the Tub with the Hippo Bath Set! This adorable purple Hippo organizes all of your bath tub clutter and strikes a cheery presence in the bathroom. The Hippo Bath Set also includes 41 colorful Wet & Stick Foam Letters to encourage creative play as well as fine motor skills, logic and reasoning, gross motor skills and hand-eye coordination. 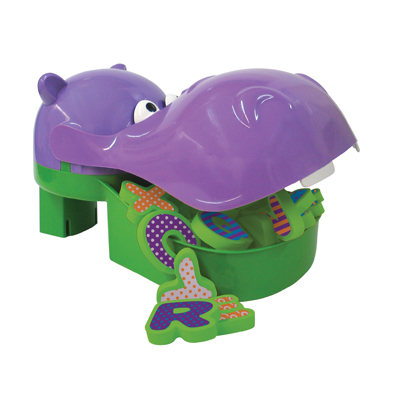 When playtime is over, just drain the Wet & Stick letters in hippo’s mouth to drain and dry. Spark your child’s creative side with the Edushape Magic Brix Building Blocks (72 PC). 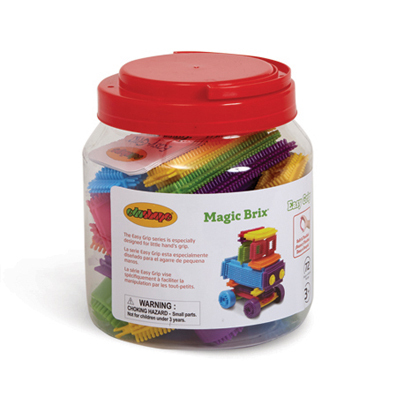 The Magic Brix offers soft and flexible building blocks especially designed for little hands. These nubby, interlocking bricks connect from practically every angle, making construction simple. The kit includes wheels and axles to build race cars, robots, houses, animals and more. With the Edushape Magic Brix Building Blocks, the sky’s the limit! Drop by our Facebook page and tell us about your favorite sensory toy for a child with special needs. And if you have any suggestions for toys you’d like us to carry, we’d love to hear from you!